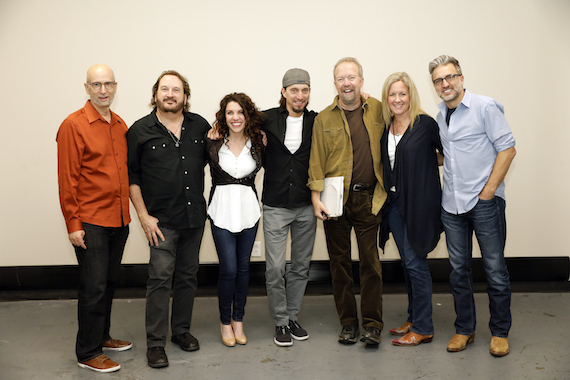 Pictured (L-R): CMA Board member David Ross, Gary Burr, Georgia Middleman, Brad Warren of the Warren Brothers, Don Schlitz, CMA Board member Stacey Schlitz and Brett Warren of the Warren Brothers. Gary Burr, Georgia Middleman, Don Schlitz, and Brad and Brett Warren shared the stories behind their hit songs to cap off festivities surrounding The 50th Annual CMA Awards Thursday (Nov. 3) during a special performance at the CMA Theater. The CMA Songwriters Series is in its 12th season, and has presented over 90 shows in 15 cities since 2005. Pictured (L-R): ASCAP VP Nashville Michael Martin and Creative Director Robert Filhart, Bobby Bones, ASCAP CEO Elizabeth Matthews and President Paul Williams. 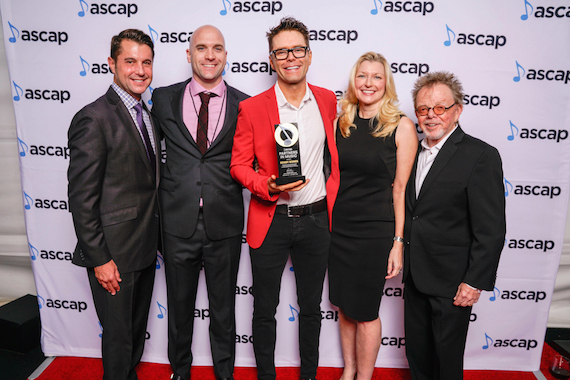 ASCAP presented its Partners in Music Award to Bobby Bones at the 54th Annual ASCAP Country Music Awards on Monday (Oct. 31) at the Ryman Auditorium. The Partners in Music Award recognizes an ASCAP licensee who has shown exceptional dedication in presenting ASCAP members’ music to the public. ASCAP Creative Director Robert Filhart presented the award to Bones for his unwavering support of emerging and established ASCAP songwriters and artists on his nationally-syndicated radio program, The Bobby Bones Show. Kirt Webster was honored by the British Country Music Awards with the International Services To Industry Award for his contributions to country music as the President of Webster Public Relations. 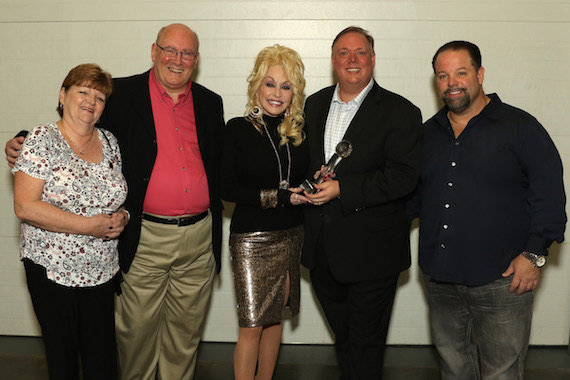 Webster client Dolly Parton and Lee Williams, President of the British Country Music Association, presented Webster with the award in Nashville. Other past recipients of the award include Big Machine Records president Scott Borchetta, the late Jeff Walker, and Country Music Association Director of International Relations Bobbi Boyce. 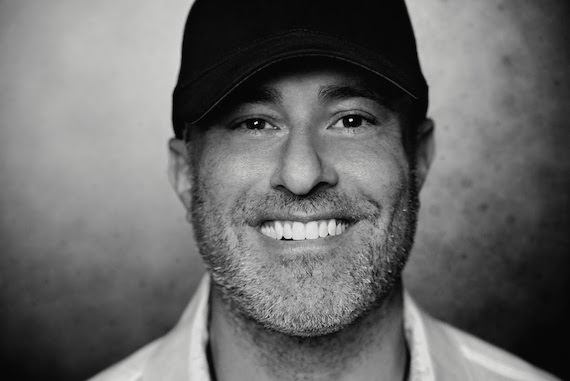 First Company Management has added Jason Davis as Artist Manager/Partner. Davis brings nearly two decades of leadership to FCM and is the founder and president of One One 7 Entertainment and partner and co-founder of Los Angeles-based Radar Label Group. Through the course of his career, Davis has worked with such iconic acts as Boyz ll Men, P. Diddy, Alabama, and Dolly Parton.